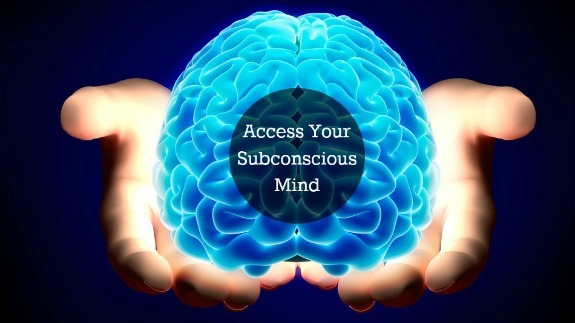 In this article, I will share with you How to use the power of the subconscious mind for success. For centuries the subconscious mind has been credited for playing a significant role in creating lasting personal achievements. Indeed, scientists have now shared valuable information on how the subconscious mind works to attract prosperity, good health and better relationships. If you have been around for the past decade you have probably heard about the movie “The Secrets” which made popular the link between the law of attraction and the subconscious mind for personal success. Let’s review in the following paragraphs how you can use this secret to help you attract your ideal lifestyle. Only Human beings have the will to reprogram their subconscious mind based on what they choose to think about most of the time. This is the greatest gift from the Creator as it actually means that you have the power to alter your reality. If you look around you, you will most likely came across wealthy people who have lost their fortunes in the past and yet rebuilt everything from scratch over and over again. You would agree that this is not mere luck but rather some principles that those wealthiest have successfully applied. Strangely enough, they have documented their experiences in many books and yet most people can’t duplicate their success. This may imply that financial success is not achieved through principles alone but it’s also dependent on the individual applying those systems or principles. Clearly, if you want to become prosperous you ought to use the power of your subconscious mind to recondition yourself for success. By doing so, you emulate the same secret that people have used for years for wealth, health and success. This leads us to other facet of incredible power of the subconscious mind. Over the past hundred years, physicists have discovered that we are living in an enormous energy field and that everything is made up of energy. The state which something is in (solid, liquid or matter) is determined by the vibrational state of the energy. The interesting thing about this is that you use the power of the subconscious mind to change your conditioning, and it actually begins setting up a different type of vibration on your body. If this different type of vibration is in sync with the energy of what you really want, you will be attracted to the things that you want. You will notice them more often and you’ll be presented with flashes of inspiration from your subconscious mind which help you to draw up plans of action for having what you want. In recent years, the above phenomenon has become known as “the law of attraction” which states that the things which you have in your life are a result of your subconscious programming, creating a vibration in your body which naturally attracts what you want. And this is how the power of the subconscious mind determines the results which you attract into your life again, and again and again. 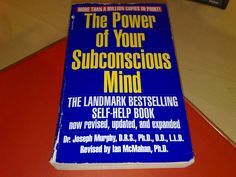 I came across Dr Murphy’s bestselling book “The power of your subconscious mind” more than a decade ago. It’s a remarkable book that can literally work miracles in your life. Dr Murphy spent the most part of his life studying eastern religions and was a regarded scholar of the I Ching. He believed he had found some interesting secrets about the subconscious that are revolutionary and timeless. Indeed, according to Dr Murphy, once you learn to master the hidden power of your subconscious mind, you can attract more wealth, health, happiness and joy. Dr Murphy argued that the subconscious mind is like a dark room where we develop images that are to be lived in “real life”. As you probably know when our conscious mind lives an event, it captures and stores the moment to remember it. The subconscious mind on the other hand “sees” something first before making it a reality. The subconscious cannot distinguish between right or wrong, good or bad. If we think negative thoughts all day long, our experiences and relationships will be affected by the same thoughts. In essence, if the subconscious works best with images, it appears logical to replace our existing mental images with brand new ones if we wish to change our lives. The subconscious responds best to relaxed faith in order to do its transforming work with ease. In other words have faith that the things or circumstances you want changed in your life will happen and you stand a very high probably of making them part of your reality. This is a sheer contrasts with the conscious mind which is used to us trying hard at tasks assigned to it. Once you have relaxed faith in what you want to accomplish, you need to add some emotions and feelings to your thoughts. Indeed, the subconscious mind likes and uses to deliver what you want with speed and unprecedented abundance. The subconscious is powerful and what you get from Murphy is the realization that unless you try to understand the non-rational mind, your rational desires and plans will be forever sabotaged. Bear in mind that the subconscious can’t differentiate fiction with reality. Whatever you give it, it will consider as fact. As such our self-beliefs play a very important role in shaping our lives. Pay close attention to what you believe in. Success for the most part means successful living with happiness and joy. Step 1: Do what you love to do. Step 2: Be an expert with specialized knowledge in your field. Step 3: Aim at serving humanity and you will encounter success in due course. You can use the miracle power of your subconscious mind to achieve tremendous abundance in your life, should you choose to. Indeed, if you imagine an objective clearly, you will be provided with the necessities through the wonder-working power of your subconscious mind. Once you are clear on what you want, fuel your thoughts with feeling and emotions. Thought fused with feeling becomes a subjective belief, and according to your belief is it done unto you. Assuming that you are seeking promotion in your work. You will go about imagining your employer congratulating you on your promotion. Your imagination should be vivid and real. Do this frequently and through frequent occupancy of your mind, you will experience the joy of the answered prayer. For a home you wish to sell, affirm quietly and feelingly: “Infinite intelligence attracts to me the buyer for this property, who wants it.” Sustain the awareness and your subconscious mind will bring it to pass.